The National Police Foundation has a long history of focusing resources on conducting independent critical incident reviews of major incidents and has built a strong methodology and body of knowledge to review, assess, evaluate, and report on lessons learned as well as the prevention, response and recovery from mass violence events. Among the various reviews conducted, the Center will build on the insights developed during reviews of mass violence attacks such as the Christopher Dorner shootings, the San Bernardino terrorist attack, Kalamazoo mass shootings, the Pulse Nightclub attack; and, the Marjory Stoneman Douglas High School shooting (www.policefoundation.org/incidentreviews) to identify lessons learned and promising practices. This report details OFD’s response to the incident and describes the public safety response more generally, to provide context. The National Police Foundation was asked to conduct the review, in part, because of its experience conducting a critical incident review of the public safety response to the Pulse nightclub attack. 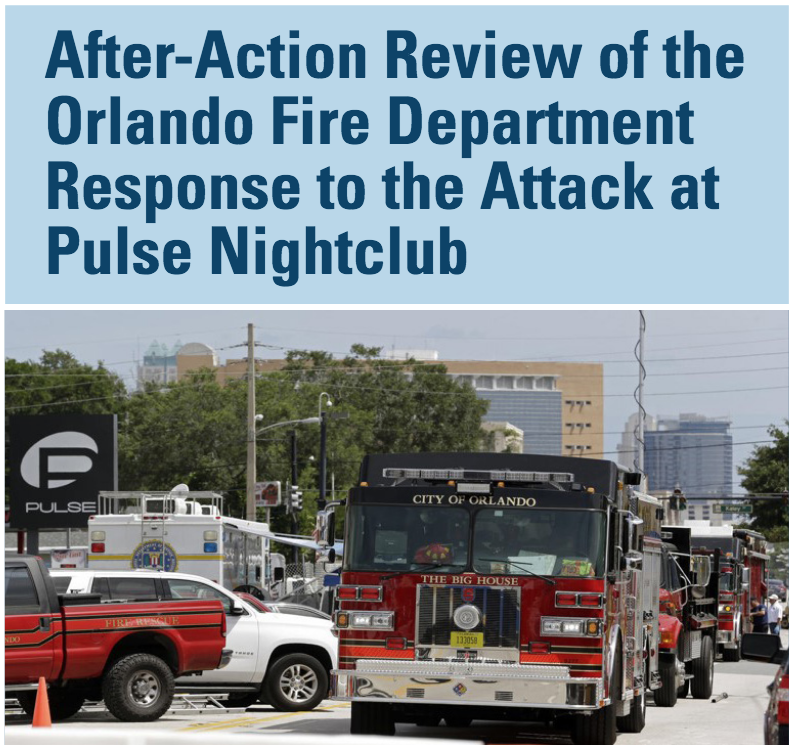 The current report examines OFD’s preparedness for an event of this magnitude, the Department’s response to the Pulse attack, and its recovery. The after-­‐action review provides guidance and recommendations to inform Orlando Fire/EMS operations as well as Fire/EMS service providers.